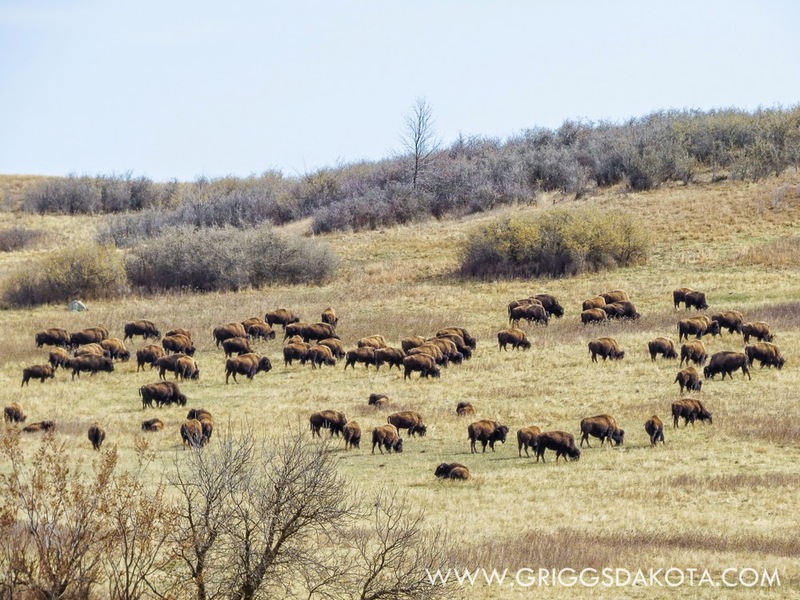 A welcome sign of Spring is the bird migration through GriggsDakota. Swans remind me of the children's story about "The Ugly Duckling." They will not stay here to raise their ugly ducklings into beautiful swans. They are wary in the semi darkness, much darker than the photos would lead you to believe. 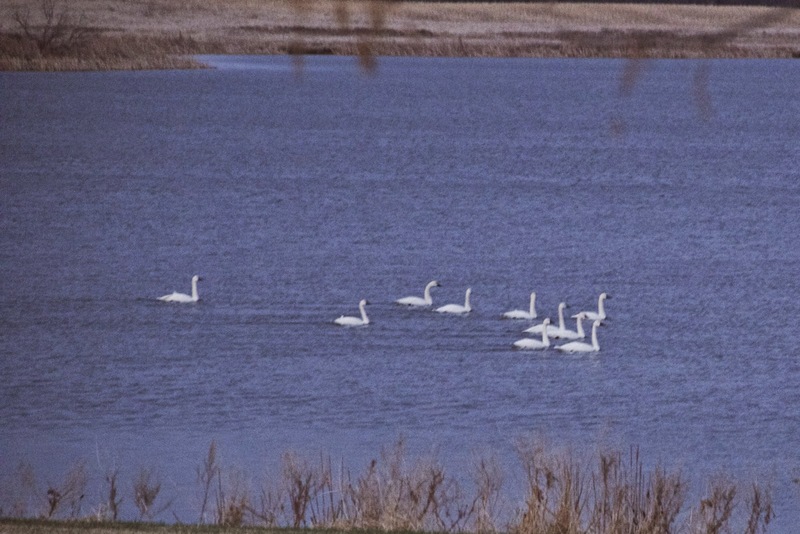 The Tundra Swans are traveling though and understandably watchful of movement on the shore. 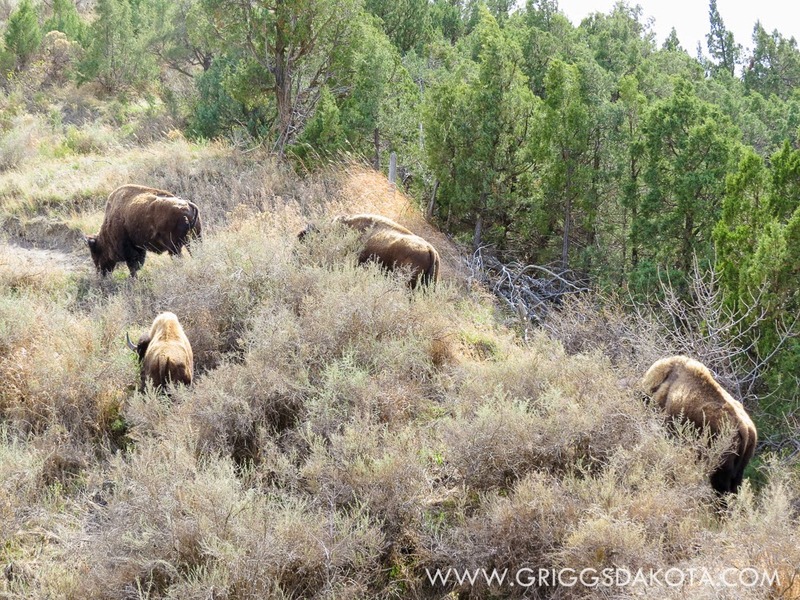 This region will not be home, but we were thrilled to notice them through the window. 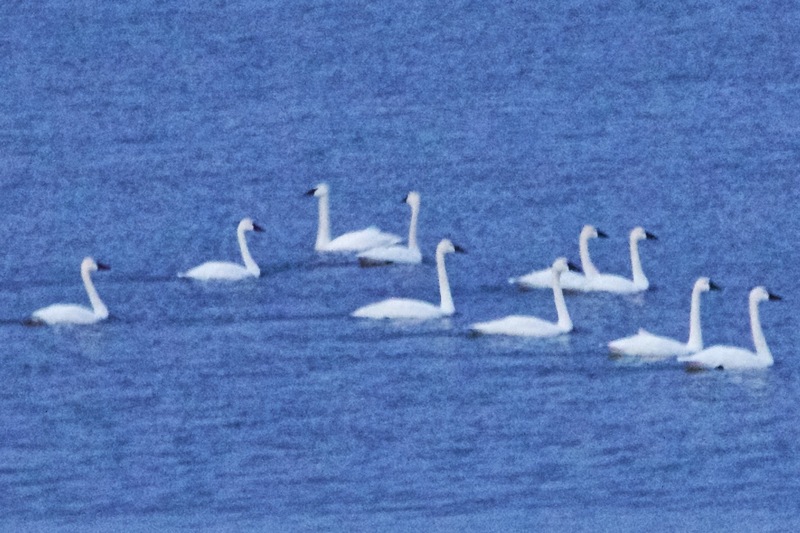 The swans are on their way up to the Arctic where they will nest on the Tundra, laying four eggs and keeping them warm for 31 days before the eggs hatch their family. 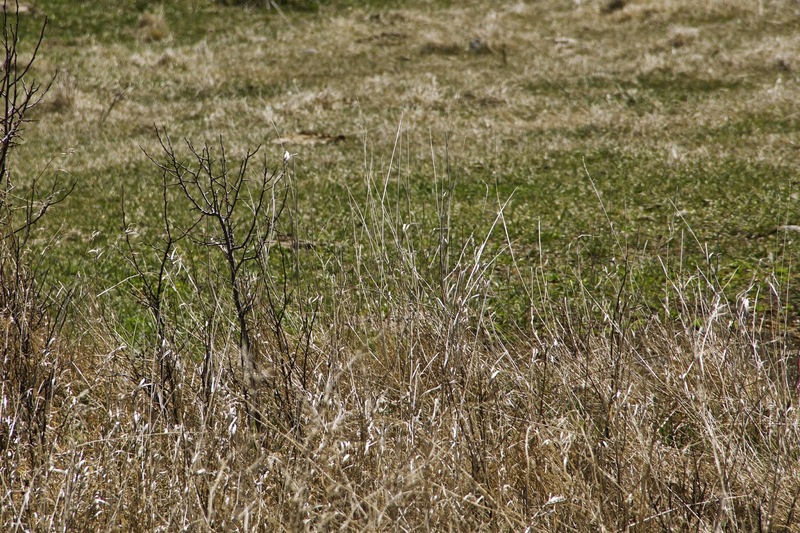 Last year Tundra Swans visited a nearby field on their way to their nesting ground. It seems odd to see this small group away from the migrating flock which might include hundreds or even a thousand birds. Perhaps they have been stalked by a predator during the night. Tundra Swans are able to defend themselves. 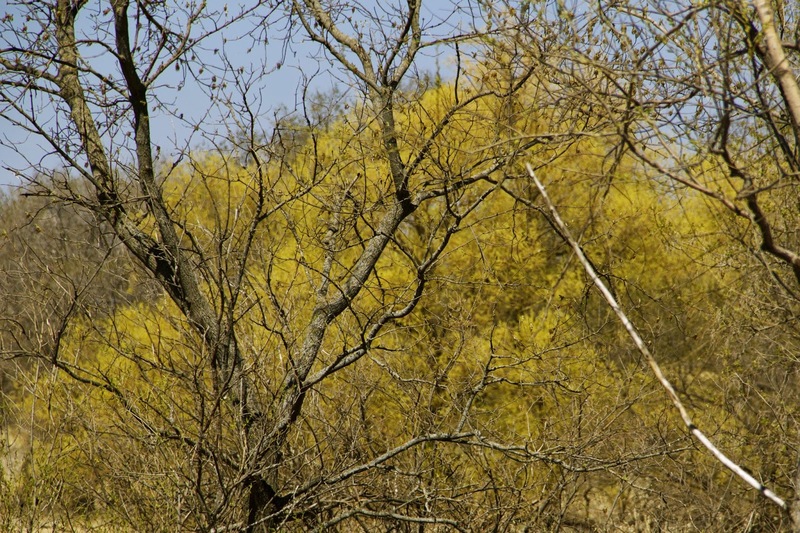 They are a big bird measuring three feet long with a wing span of over four feet. They are impressive birds when they take flight. Perhaps they prefer to fly away, rather than face a fight with a predator. That would explain their presence here. I, however, plan to keep my distance and let this respite last as long as possible. 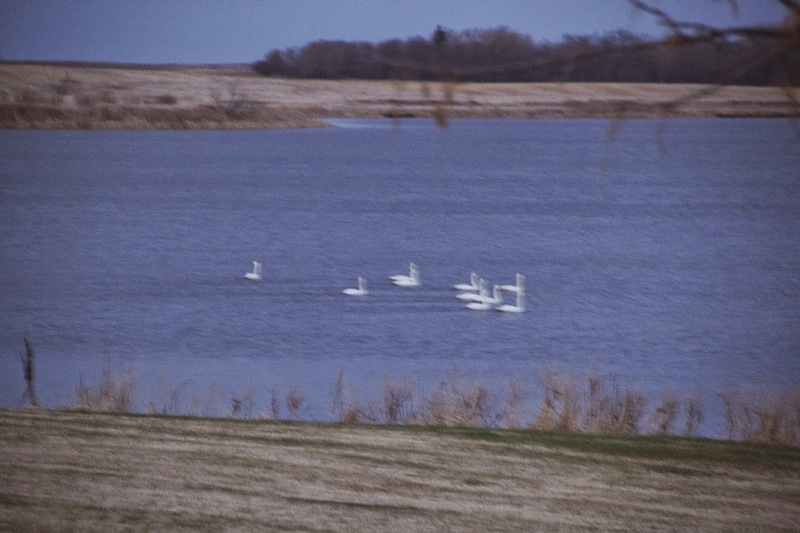 It was our great pleasure to host beautiful Tundra Swans for a few short hours on our little lake in GriggsDakota. 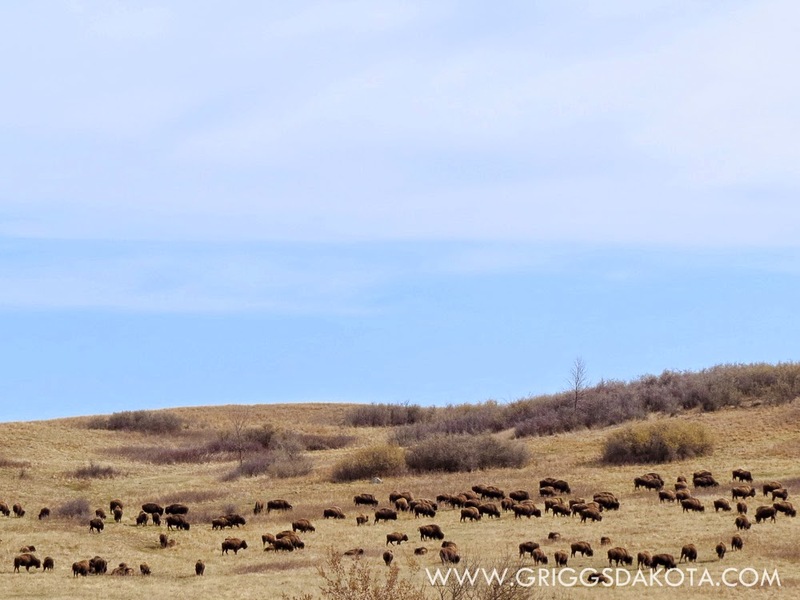 Every Monday we invite our daughter Kirsti to post from her home in Western North Dakota's oil patch. 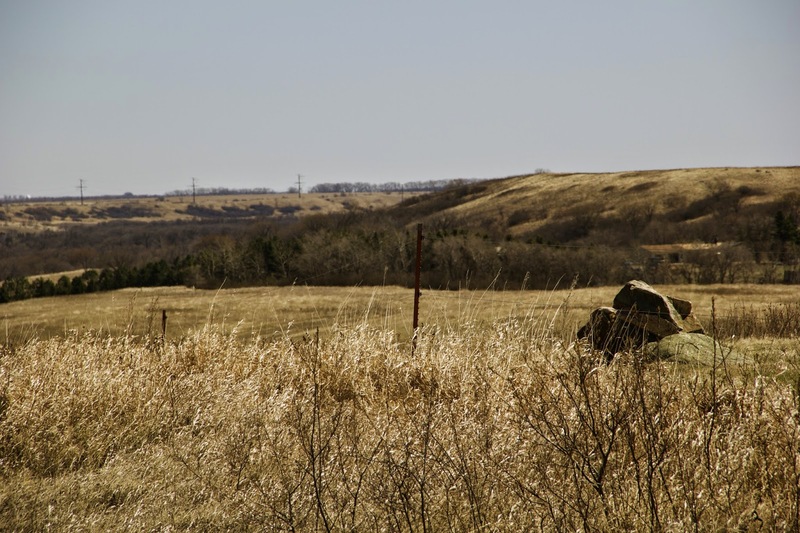 People like to discuss how the oil industry changes the landscape here in western North Dakota. I prefer to discuss how the landscape changes despite the industry and economy. So much natural beauty surrounds us, just as it did hundreds of years ago. Untouched. Unchanging. And yet, never the same. 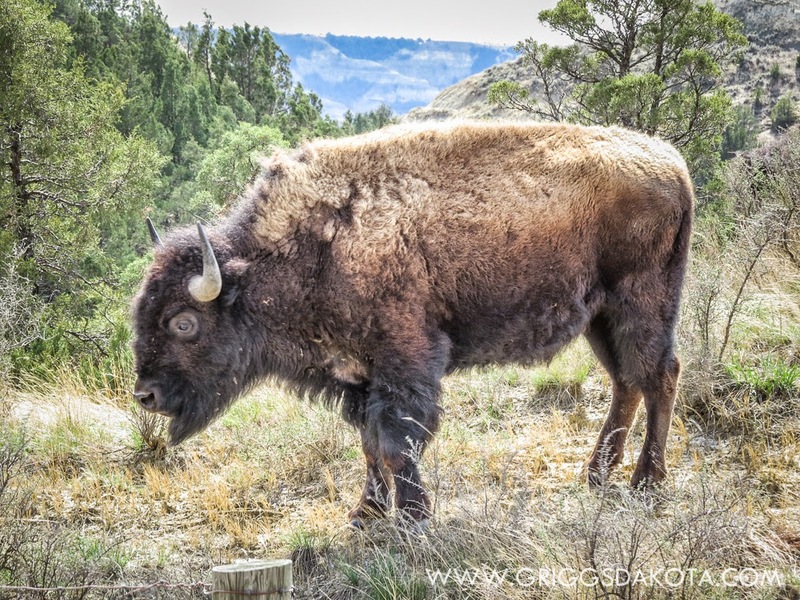 Bison roam in the National Park. 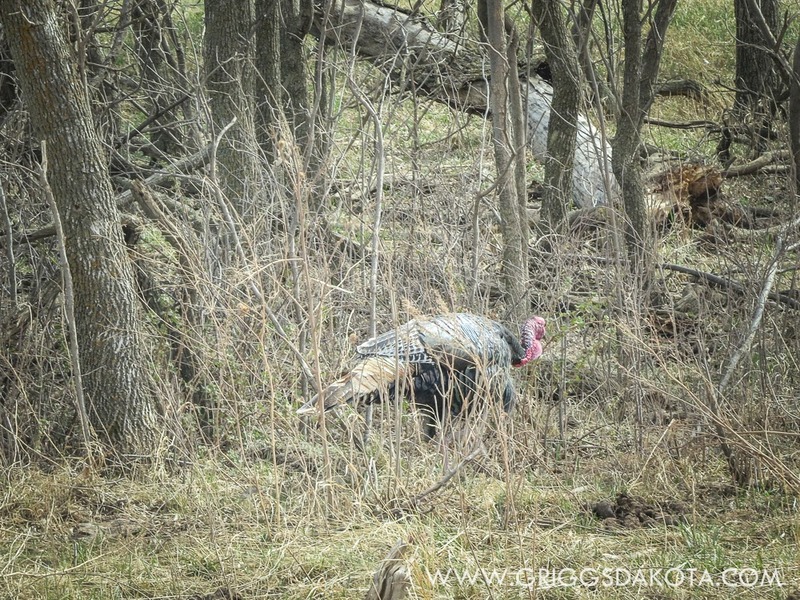 Turkeys make their way across red dirt roads to find cover in the wooded lowlands. 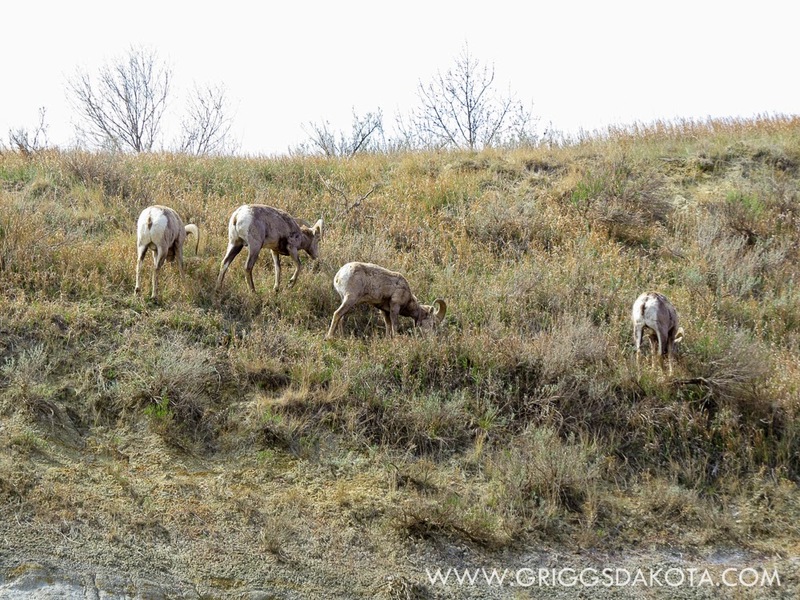 And Big Horn Sheep munch delicate spring shoots of grass in the warm spring air. Today they're here. Tomorrow they're elsewhere. It's always changing. It's beautiful. It's exciting. It's my North Dakota home. 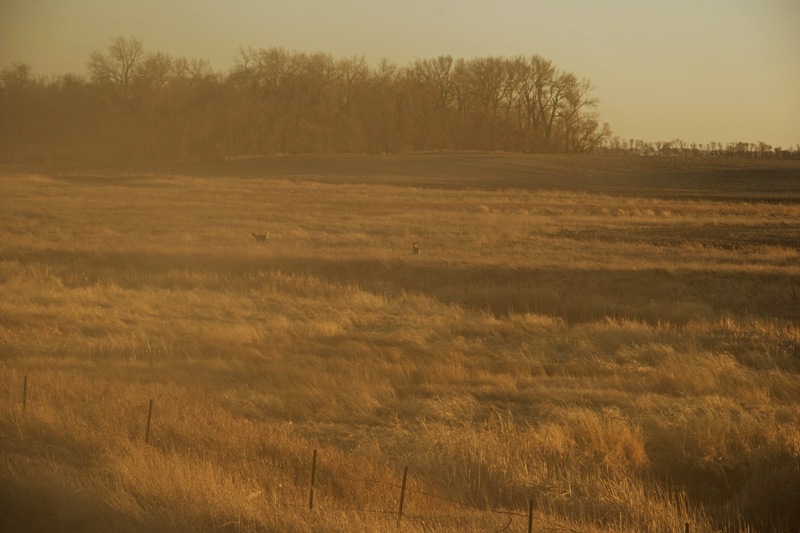 The landscape is still mostly brown in GriggsDakota. Follow the geese and you will find green. They always seem to be able to find the greenest Winter Wheat field. 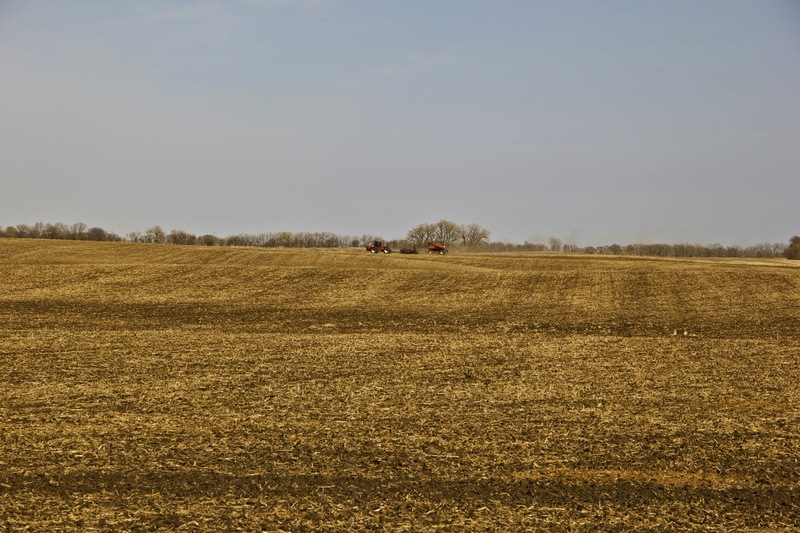 Canola stubble is ideal for planting Winter Wheat in the Fall. The Winter Wheat, a winter annual, sprouts and turns the field green. The cold Winter freezes the growth above ground, but the roots are kept warm with snow. Canola stubble is very good at catching enough snow to keep the roots warm and provide early moisture in the Spring. 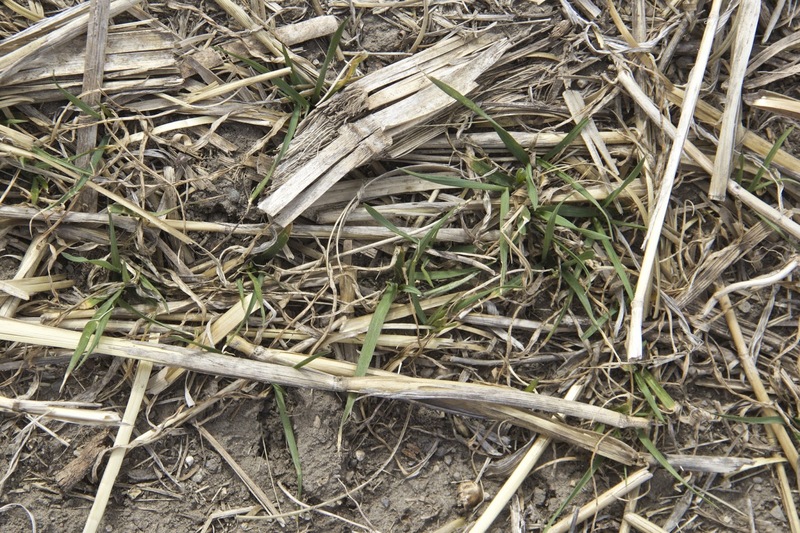 The photo above illustrates two types of stubble that are now Winter Wheat fields. The foreground is Canola stubble. But even the stubble that appears brown from a distance has Winter Wheat growing. 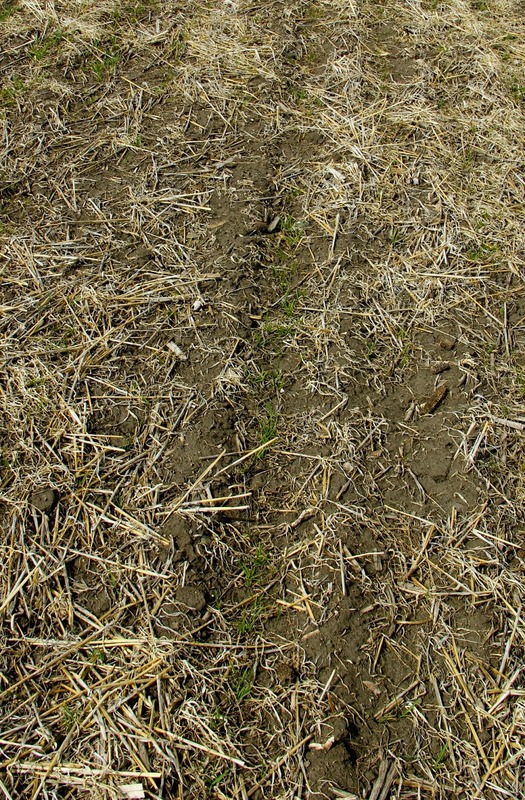 This is barley stubble and it has been able to provide enough protection for the Winter Wheat to survive. In the fields that we checked, there seems to be sufficient growth for a crop to come through. We had a dry Winter, with inconsistent snow cover. 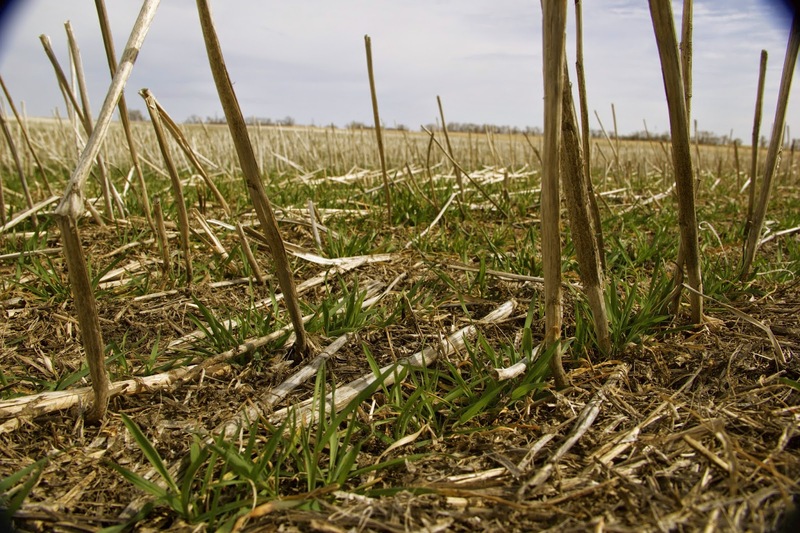 We have been concerned about the ability of the Winter Wheat to thrive and produce a crop this season. Things look pretty good in the fields. We are guardedly optimistic. Now I will leave the geese to their puddle and move on with barley seeding in GriggsDakota. Where is Forever? Is it time or space? 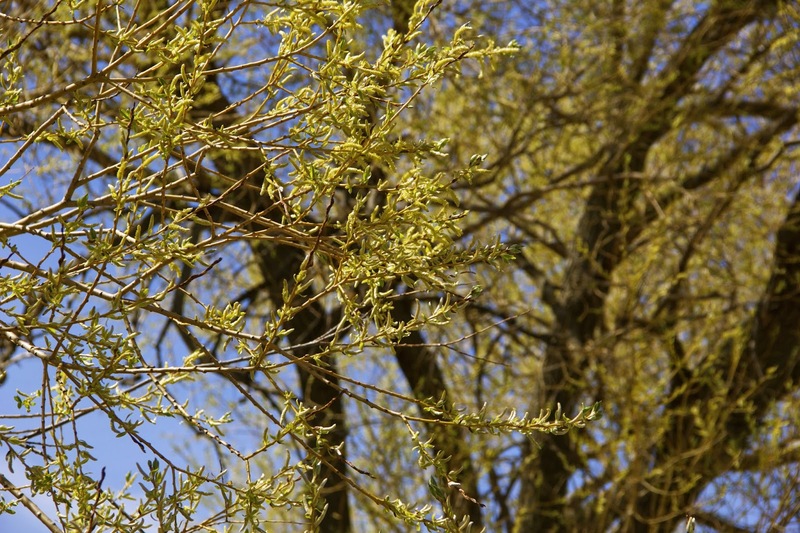 Maybe it is the time it takes for Spring to take hold. Maybe forever is found in the space between the land and the heavens. Or Forever might be the distance to the edge of the world. In GriggsDakota I am pretty sure that we can see Forever from here. 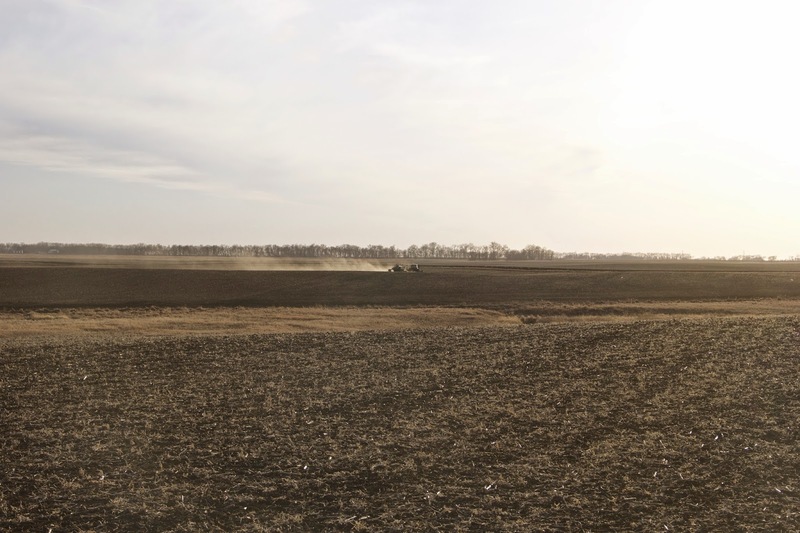 We have experienced a Spring setback this season in GriggsDakota. Some rain has fallen and with it came cold, wind, and a few snow squalls. Field work is at a stand still. So I have been tending the Spring garden. 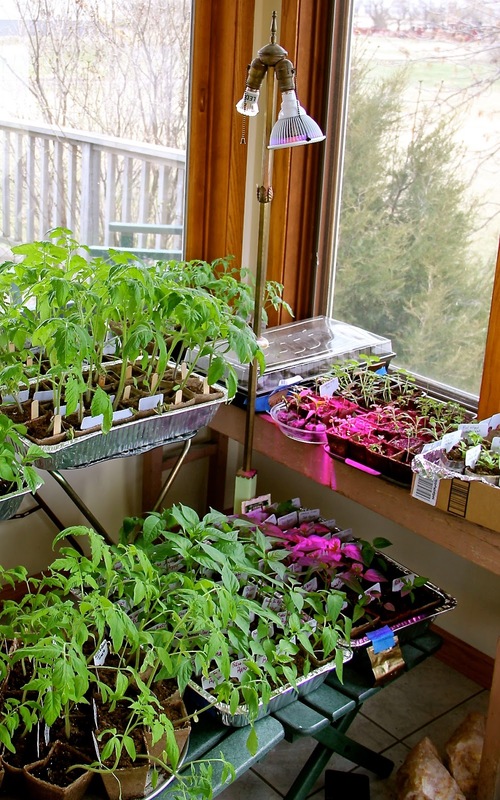 It consists of the starter plants in the porch. 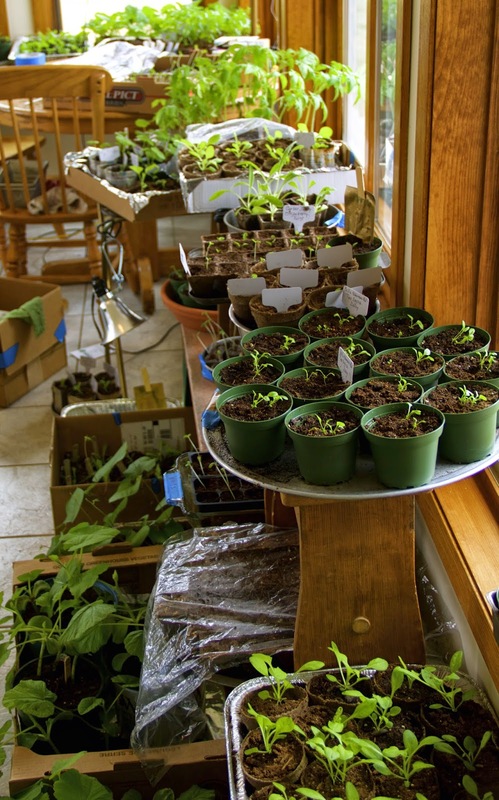 Outdoor garden planting cannot begin for three or four weeks, but we get a head start by starting some seeds indoors. In addition to the windows' light, there are grow lights in the lamps. 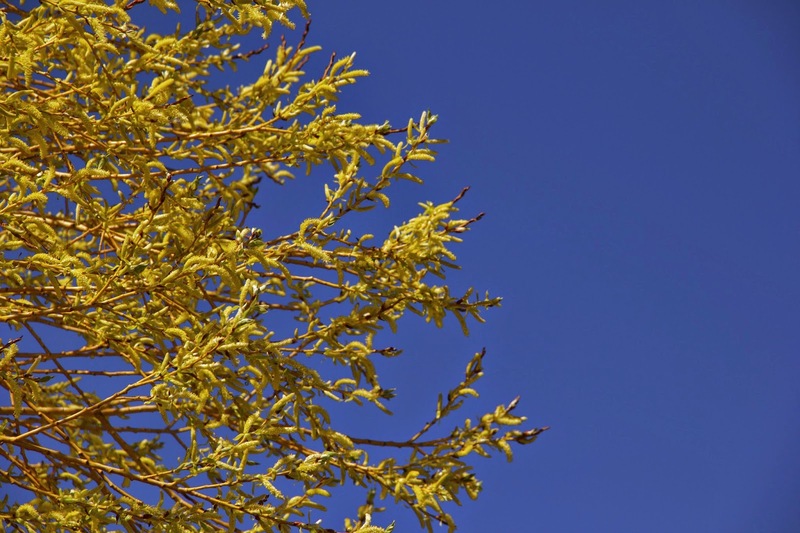 It is dark and cloudy in the Spring, so these plants get artificial light as a supplement. I started planting about five weeks ago. 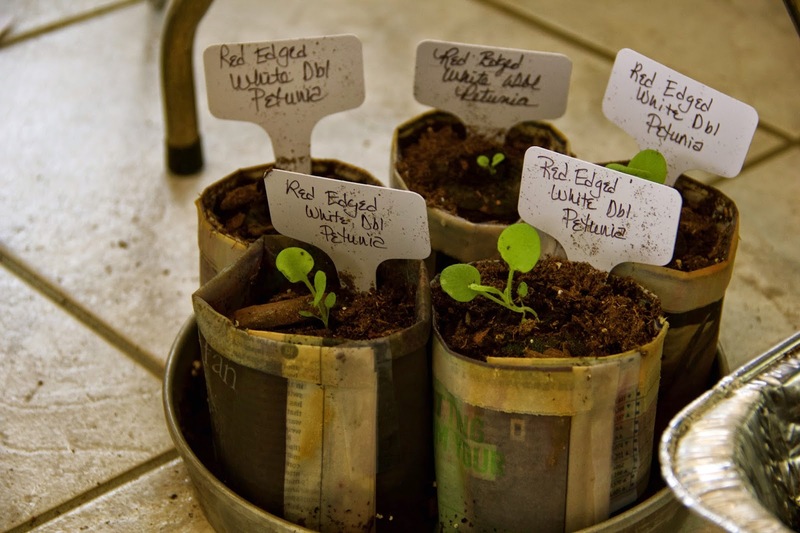 I learned to plant seeds indoors from my grandparents who were avid gardeners. 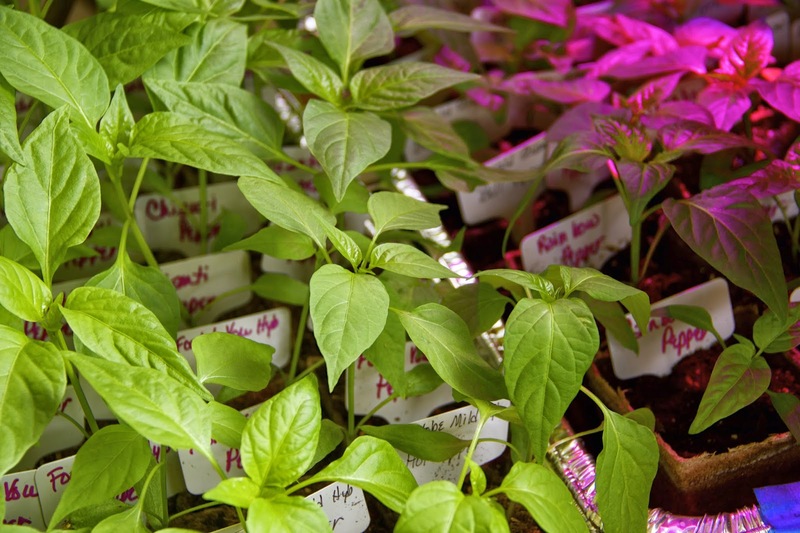 They didn't use grow lights and used all recycled materials for starter plants. They didn't buy seed starter mix or potting soil. Grandma baked soil in the oven to kill bacteria and weed seeds before we planted. This year I used a combination of purchased and recycled materials for starting seeds. And I never bake dirt anymore, but it feels good to know that I could do it the old fashioned way if I needed to. This is my favorite part of gardening: Watching seeds come to life. Boxes with all the same variety are labeled, and those with assorted varieties have each plant labeled. I use blue masking tape to label, as well as purchased sticks. I try to be very careful with labels, because many of these will be planted by my children, grandchildren or friends. I want them to know what to expect when the plant produces. There is a heated seed mat on the floor. When I plant a seed that needs a warm start, I cover the box containing the seeded pots or cubes loosely with plastic and let it sit on this mat just until I see a seed beginning to sprout. It is then removed to a shelf and another box or pan goes in. This year I used a lot of these little starter pellets that expand when soaked with water and harbor a seed nicely while it germinates. 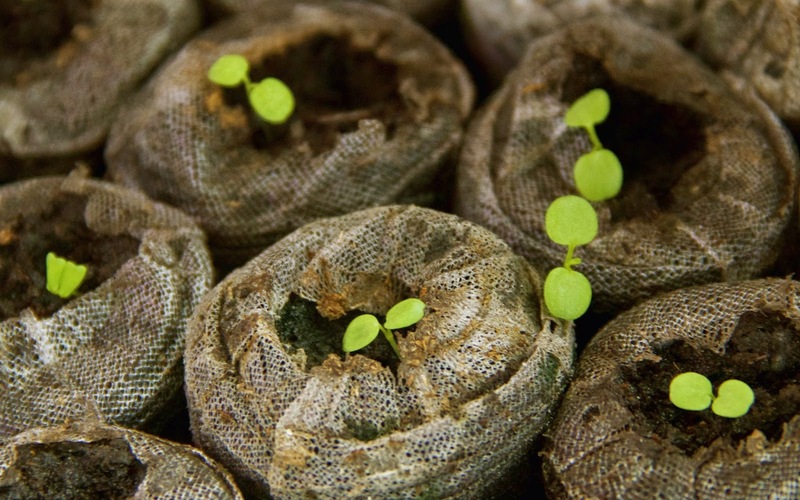 Watering becomes the tricky part after the seedling emerges. Too much will drown them and too little will dry them out. 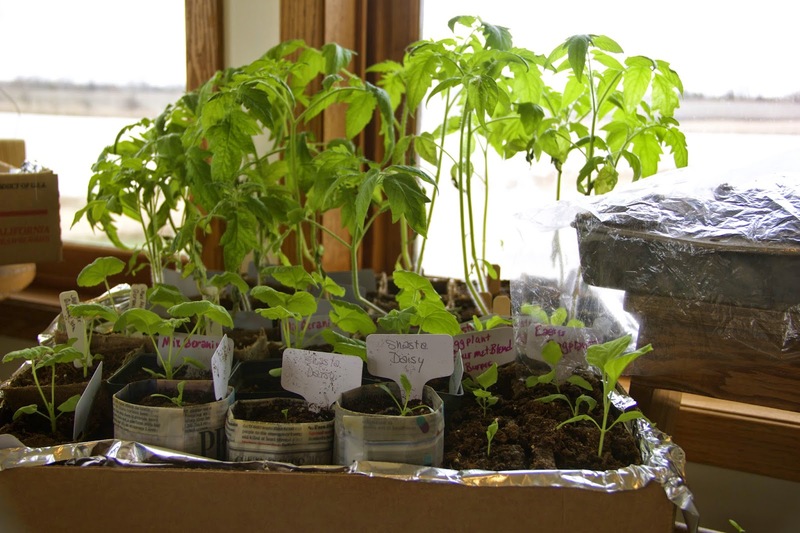 Watering from the bottom works best which is why I use boxes lined with aluminum foil, baking pans, or nearly anything else that holds water, as containers for my tender seedlings. The seedlings are planted, starter pellet and all, into a peat pot or a pot I've made from old newspapers. These will be set into the ground, so the roots can grow through the pot and into the garden without being disturbed. Fingers crossed, hoping Spring will return soon to GriggsDakota. 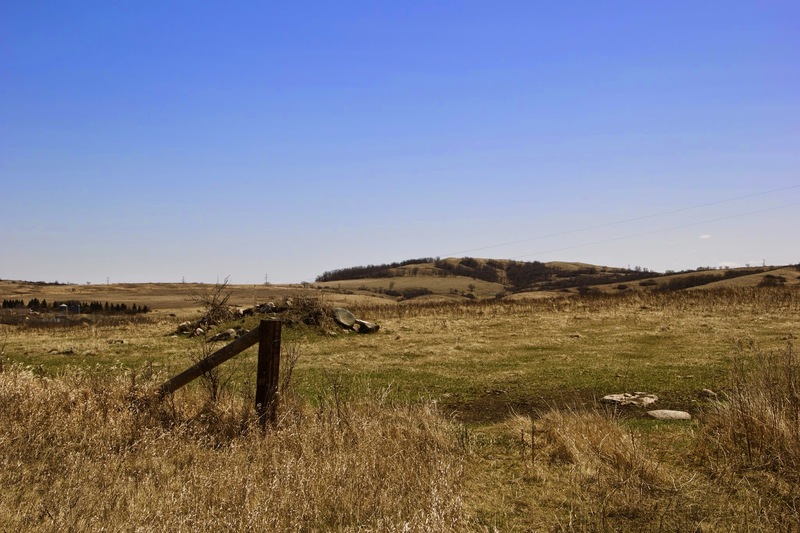 The land is large in GriggsDakota. The tractor and drill in the distance appear tiny on the photo above. In truth the tires on the tractor are about six feet in diameter. 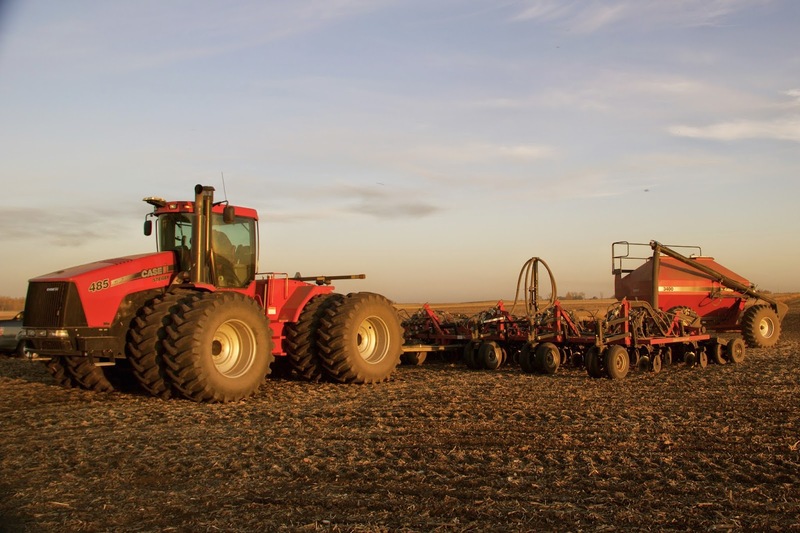 It is a big rig when the Case IH 485 is pulling the 40 foot Concord Air Till Drill. There is a lot of ground to cover as we seed our barley. The topsoil is dry, but there is moisture about an inch below the surface. We could use a rain. We haven't had one this Spring. It would settle the dust that has collected all Winter. 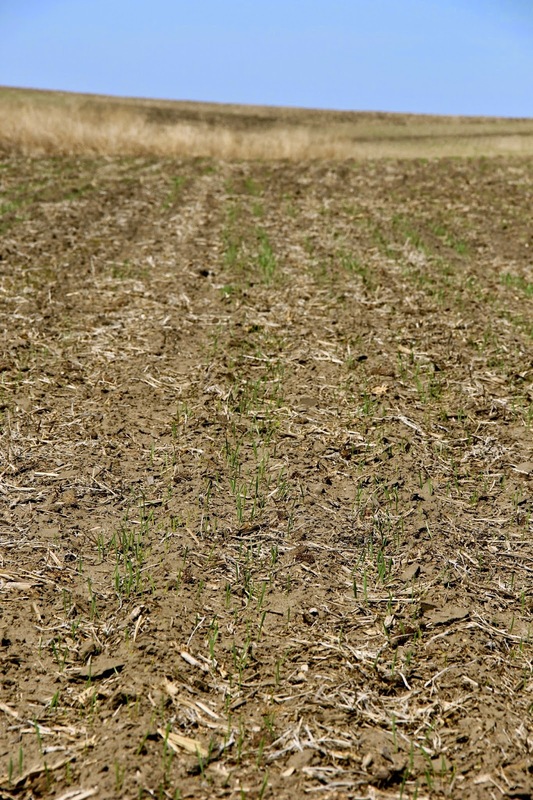 A rain would also warm up the soil and even out the temperature in the ground. There are warm and cold spots in the ground after our long cold Winter. 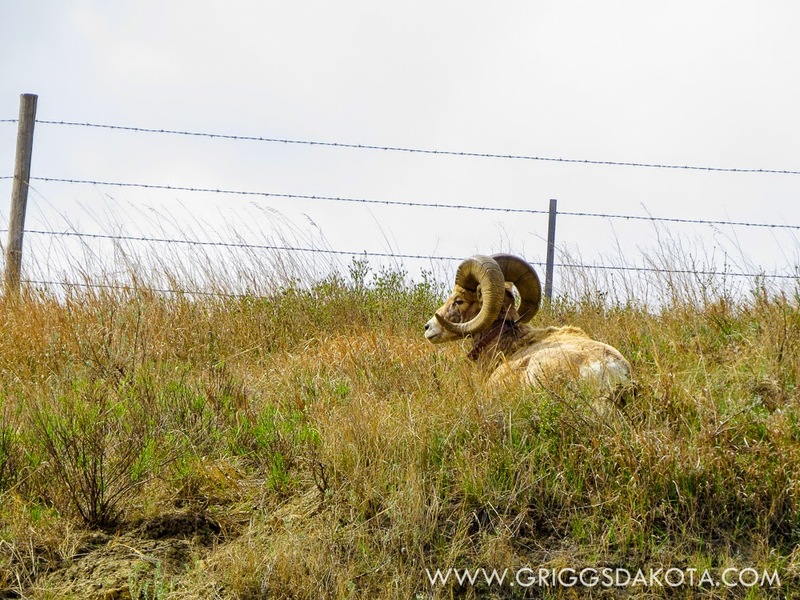 But I heard a farmer say the other day that he doesn't pray for rain, he prays for good crops, and so it is in GriggsDakota. We plant with faith that the rain will come. As we move closer to Beaver Creek, we spot whitetail deer. They are curious and do not seem startled as the tractor pulls closer to the creek. 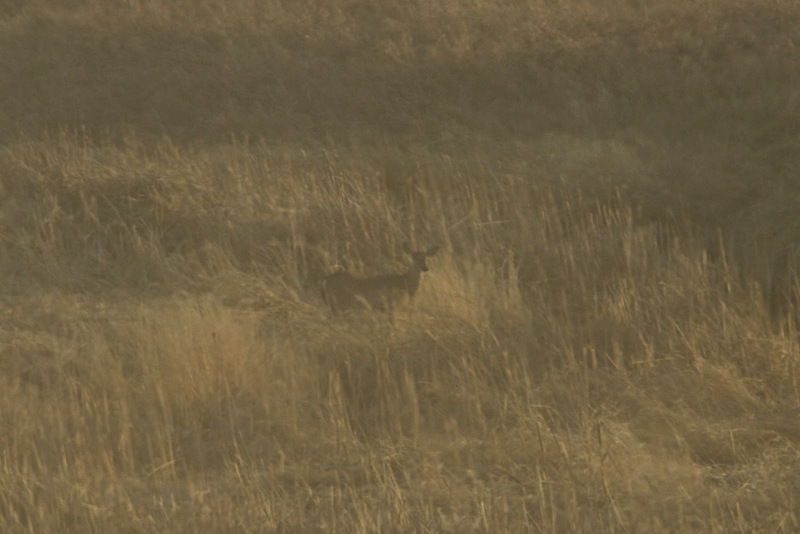 Through the cab window and field dust that hangs in the air we watch the deer grazing. The creek is low, but there is food and water here. 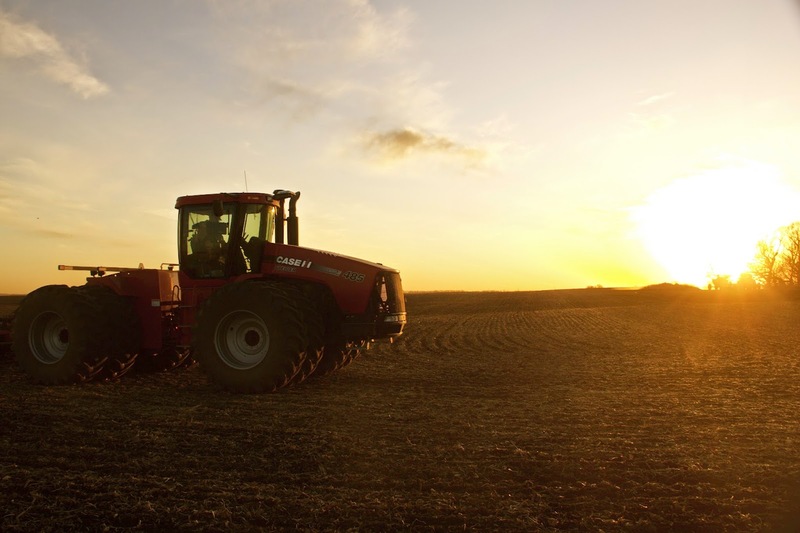 As the sun sets on another day of seeding barley in GriggsDakota.